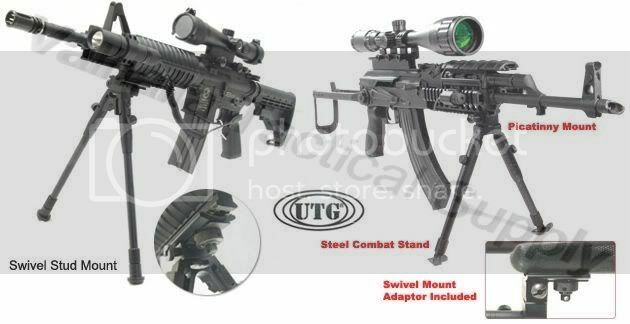 Innovative Picatinny Mounting Deck and Practical Swivel Stud Mount for mounting on virtually any rifle configuration. Unique Posi-Lock Feature to Prevent Tipping. Panning and Foldable, Height From 9" to 11". Gen 2 Mounting Deck Reinforcement.